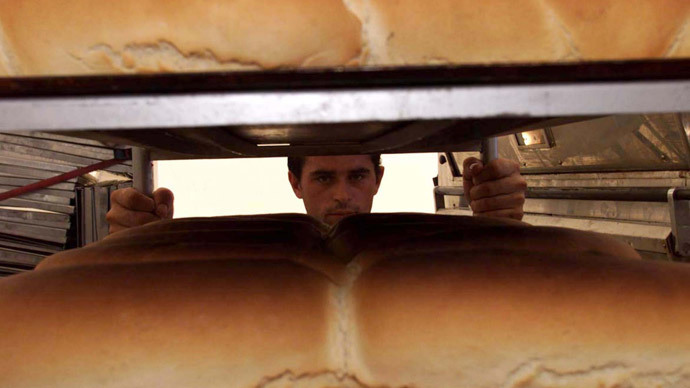 A loaf of bread in the UK will cost £150 in 100 years if current inflation rates apply, a study has shown. The value of money has plummeted by 99 percent over the past century, meaning £100 in 1914 is equivalent to £8,970 in purchasing power terms today. A loaf of bread cost £0.01 a century ago, compared to today’s average of £1.35, according to a Lloyds Private Banking study. A pink of milk also cost £0.01, while a dozen eggs would have set you back about £0.08. Perhaps the most shocking revelation in the research concerns the price of beer. At the eve of World War I, a pint of beer cost a mere £0.01 – roughly the same as a loaf of white bread. The price of beer has increased 29,300 percent since 1914, reaching an average price of £2.94 in 2014. According to the research, prices doubled during WWI, but prolonged deflation during the Great Depression saw retail prices fall. This meant prices actually increased at a time when unemployment was acutely high. The most inflationary period of the past century was 1974 to 1984, when retail prices increased 224 percent, or an average of £0.12-£0.13, per year. Researchers attribute this to rising oil prices, as a result of the 1973 oil embargo, and increasing wages. “An individual today would need close to £90 million to have the same purchasing power as £1 million in 1914,” he added. Researchers speculate that the value of money will decline by 94 percent over the next 100 years, meaning £100 in today’s money would then be worth £1,582. You don’t have to look into the past to see stark differences in the cost of things, however. A study by The Guardian last summer revealed how food prices can vary between cities across the globe. Potatoes are £0.80 a kilogram in a London Tesco’s, while Sydney residents can expect to pay the equivalent of £1.18. A 250g tub of butter costs an average £0.98 in the UK, while people in Toronto fork out the equivalent of £2.44. A can of beer, which costs £0.97 in your local Tesco, cost the euro equivalent of just £0.47 in Berlin. Of the seven global cities The Guardian studied, Berlin was the one with the cheapest grocery prices, while Toronto residents were deemed to live in a city even more expensive than London.